Shatter is a type of marijuana that has been around for many years but is becoming more well-known as more state legalize marijuana and the cannabis curious begin to experiment. Shatter is essentially a concentrate of marijuana. In states where recreational marijuana is legal, some types can be found at dispensaries. Shatter falls under the umbrella term of “dabs,” meaning highly concentrated marijuana that is used in very small amounts. It is created by extracting THC and CBD from cannabis. The resulting concentrates can hold up to 80 percent cannabinoid concentration, making it much more potent than most strains of marijuana. Marijuana typically has a cannabinoid concentration of around 10 to 12 percent. When making marijuana concentrates, a solvent is used to extract the psychoactive chemicals in the marijuana bud. These solvents are typically butane, carbon dioxide or propane. The resulting resin is called shatter because it’s typically cooled down and turns into a glassy sheet of resin that can then be shattered into smaller pieces. There are other forms of concentrates. There is “budder,” which is a waxy substance. There are also oils – often referred to as “hash oils” – that are golden in color. It is considered the most potent of all these forms. Many experienced marijuana users would likely tell first-time users the best way to use shatter is to not use shatter. Because of its high potency, it’s not typically recommended for those with little to no experience with cannabis. The “high” from a marijuana concentrate it can prove far more intense than that experienced with regular strains of marijuana. For those who want to give it a try, it’s best to do it right. Smoking shatter correctly involves what is called a “rig,” an expensive pipe ($100 to $200) that comes equipped with what is known as a “nail.” It’s located where you would typically find a bowl on regular marijuana pipe. The nail, typically made of titanium, quartz or ceramic, is heated to a high temperature (sometimes with a butane torch) and then a piece of shatter is applied using a metal pin to the end of the nail. The resulting smoke is inhaled through the rig. As noted, shatter is legal in places such as Colorado and Washington. Other cities and states have considered making laws addressing the legality of concentrates. Make sure to check on your local laws. Also, just as importantly, understand that if you are simply looking for a relaxed high or a little energy boost from marijuana, shatter is going to give you much more than that. Proceed with caution and arm yourself with knowledge about the effects of shatter. 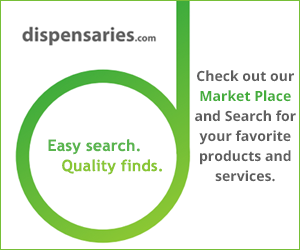 ← Does Insurance Pay for Medical Marijuana Prescriptions?